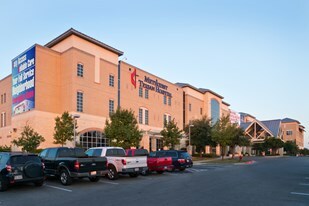 Texsan Heart Hospital has now joined the Methodist Healthcare family of hospitals. Methodist Texsan Hospital is the facility's new name and will continue to offer the same exceptional services delivered by the same outstanding staff of highly trained professionals. Adding Texsan is an example of Methodist Healthcare's commitment to provide unrivaled, quality health care and to keep pace with the increasing demand for its services. San Antonio's largest provider of health services now offers an additional 120 beds, four operating rooms, four cardiac catheterization labs and another 24/7 emergency department with a national accreditation as a Certified Chest Pain Center. The new name and new ownership points to an exciting new future for Methodist Texsan Hospital. And, an opportunity to further Methodist Healthcare's mission of Serving Humanity to Honor God.